You are here: Home / Work at Home / Is Stuffing Envelopes a Legit Work From Home Job? “Make Great Money Stuffing Envelopes From Home — $2.00 per Envelope”! I was so excited! I started calculating how many envelopes I could stuff in between classes and how much money I could make per week; life was going to be so much easier. I sent $12.00 off for the information about the envelope stuffing gig and waited weeks for the information to come. Finally, after a few weeks, it arrived. The information that was going to solve my financial worries. But, when I read the letter, and it said, to make money stuffing envelopes, place the same ad you replied to in magazines, newspaper ads, and on bulletin boards. You will then earn money by people responding to the ad, and in return, you will send them the same bogus information. What a bummer! Luckily, I only lost $12.00. Only now they charge $20 – $100 for the same bogus information! In Tory Johnson’s book, “Will Work from Home,” she tests the stuffing envelopes scam with a few different companies, and none of them panned out. 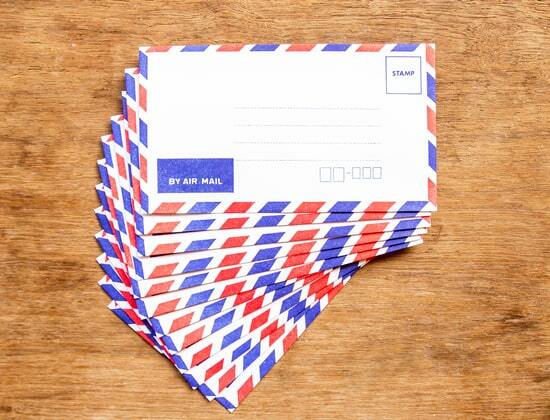 “Recruiting people to stuff envelopes is the oldest work-from-home gimmick that fools people every day. Don’t be one of them”. Bottom line, stuffing envelopes is a scam! Need more proof that stuffing envelopes is a scam? Both the Federal Trade Commission (FTC) and the Better Business Bureau (BBB) have alerts on their websites warning people of this scam. In fact, the United States Postal Service says that stuffing envelopes is the most common work-at-home scam (the other is assembly work). What should you do if you've fallen for this scam? Try contacting the company that you purchased the information from and request a refund. Be sure to tell them that if they do not refund your money that you will be contacting legal officials to investigate their operations further. If you're not able to resolve the situation this way, contact the FTC (1-877-FTC-HELP) to report the issue. You can also contact your local U.S. Postal Inspection Service. Since these scammers are using P.O. Boxes to run their scam operations they will investigate these fraudulent mail practices. What are some warning signs to look out for when searching for work-at-home jobs? When you're searching for work-at-home jobs, you need to take your time and research the job opportunity extensively! Scammers know they can make a quick and easy buck by preying on people’s vulnerabilities. What I mean by vulnerabilities, is when people are struggling to make ends meet, or they need to be at home for a new baby or elderly parent there is a sense of urgency and these scammers know this. So they create their ads to appeal to these emotions. The second reason scams are so prevalent is technology has made it easy than ever to distribute scams while hiding behind a digital curtain. For these reasons, it’s more important than ever for you to educate yourself on what’s legit and what’s not. Search for contact information — scammers don't want to be found. Outrageous income claims with little or no effort on your part. Hyped up job ads: Start Immediately! No Experience Necessary! Do you want a guaranteed, legit, work-at-home jobs? If you’re still feeling uneasy about your work-at-home job search — check out the paid membership site, FlexJobs. Every single job listed on their website is hand screened for legitimacy. So when you apply you can rest assured that you’re not going to fall prey to a work-at-home scam. Not only does FlexJobs have an A+ rating with the Better Business Bureau, but they also offer a money-back guarantee if you’re not satisfied. Have you encountered ads for stuffing envelopes online? What other fraudulent opportunities have you come across? Originally published on March 31, 2009. Revised on November 27, 2016. So basically this article is a plug for flexjobs.com, which is also a joke and cost money to join. WHAT IS WRONG WITH THIS WORLD? Yes, I do mention FlexJobs because I think they are an excellent resource for professionals! I like to educate my readers on all of their options, and it’s up to them to decide which ones are best suited for them. Or you can try a free site like, Indeed, but you need to be very careful on scams on there. Sadly, stuffing envelopes is a scam. It’s a ripoff,don’t fall for it! Yes, stuffing envelopes is a scam. Stuffing envelopes is NOT legit work — it’s a scam! I would like a work at home job under $20 to start up, that doesnt involve selling, recruiting, or any of that. Like something i can do on my computer myself at home and get paid every week. Is there anything like this out there??? 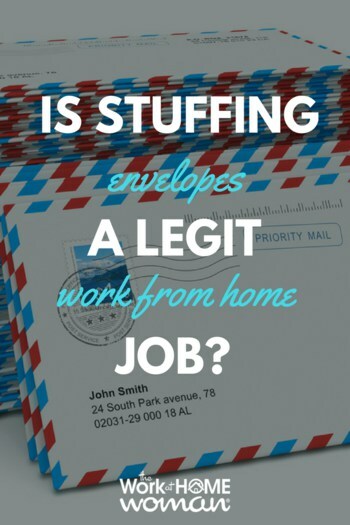 It’s a scam — there is no such thing as a stuffing envelopes job. Because machines can stuff envelopes for a fraction of the cost. There are other legit work-at-home jobs that don’t require starting a business. Holly! I worked in the manufacturing field in a shop (retired now). I’m used to assembly jobs. Tell me there isn’t true work @ home jobs as assemblers now a days? Kinda breaks my heart. I’m not a typist or should i say a fast one or blogger or transcriptionist. Where do i start please? I want to do something besides nothing. Thank you in advance for your reply. So, there’s no such job for working at home anywhere right. Yes, there are legit work-at-home jobs, but envelope stuffing is NOT one of them. Would love to have a job at home stuffing envelopes could you help me out. It’s NOT a legit gig, Dorothy. Marion, There are NOT any legit envelope stuffing jobs — they are all scams. Envelope Stuffing is a scam — there are no legit companies offering this position. Stuffing envelopes is a scam.